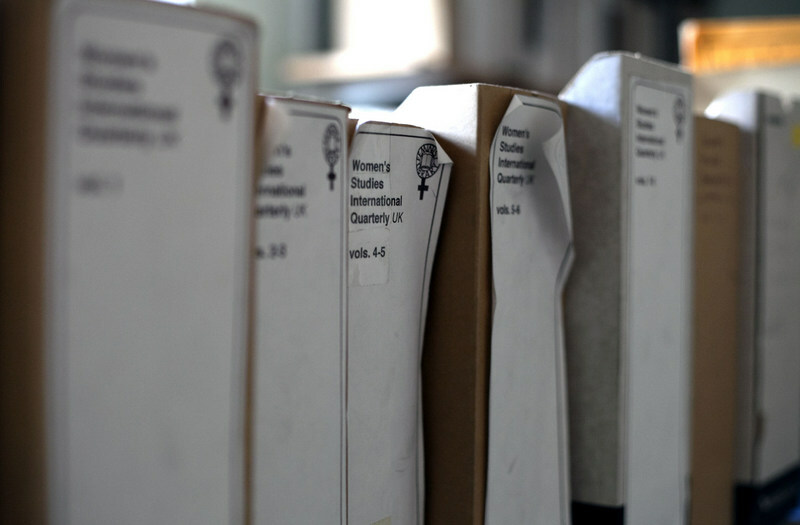 Originally known as the Women’s Research and Resources Centre (WRRC), the Feminist Library was set up in 1975 by a group of women to record and document the Women’s Liberation Movement and safeguard its history. It provided a place where women could network and educate themselves, and became a central contact point for women locally, nationally and internationally. 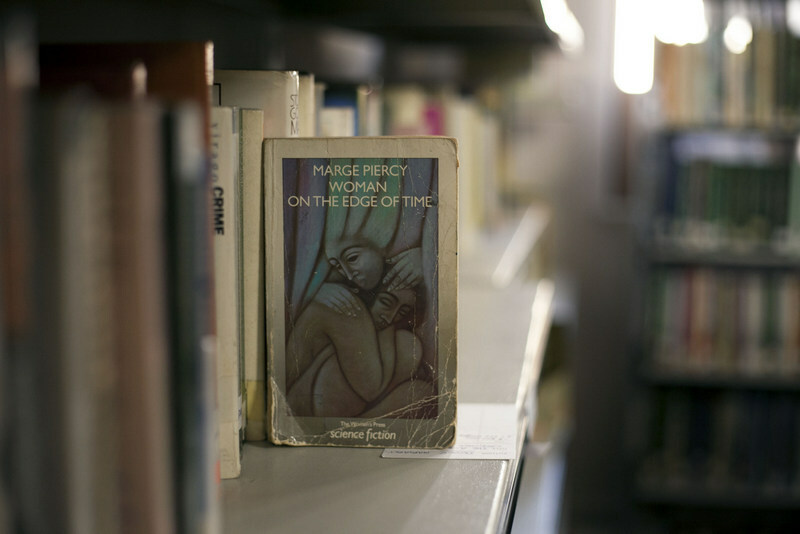 There has always been a close connection between the library and the women’s and feminist groups it serves to record. To commemorate this anniversary year, the Feminist Library is proud to announce a series of twelve celebratory salons. 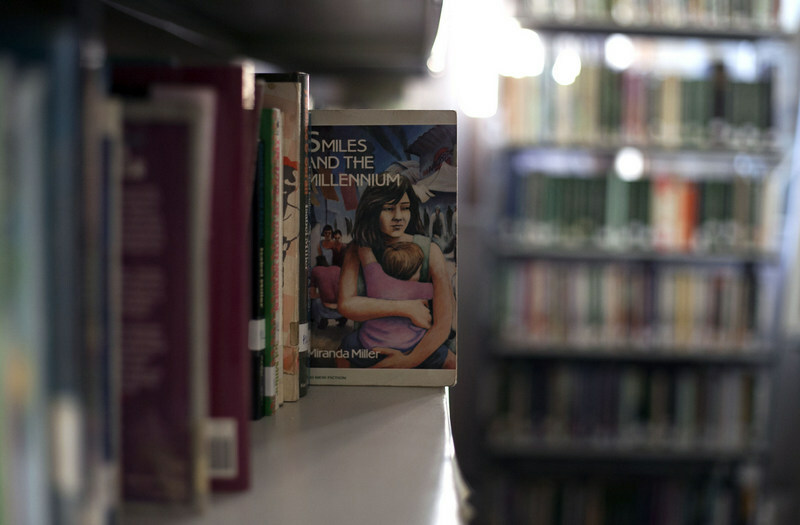 Our upcoming 40th anniversary salon programme for 2015 reflects our confidence that the Feminist Library will be around for at least another 40 years, if not more! The twelve salons are all organized around the theme of “Activating the Archive”. Each salon is based on one of the categories from our unique feminist classification system. It is in itself a substantial and important piece of radical feminist activism, which has been widely used since as the basis for other feminist classification systems. Each salon w ill highlight some of the amazing and unique literature that we have within the collection. 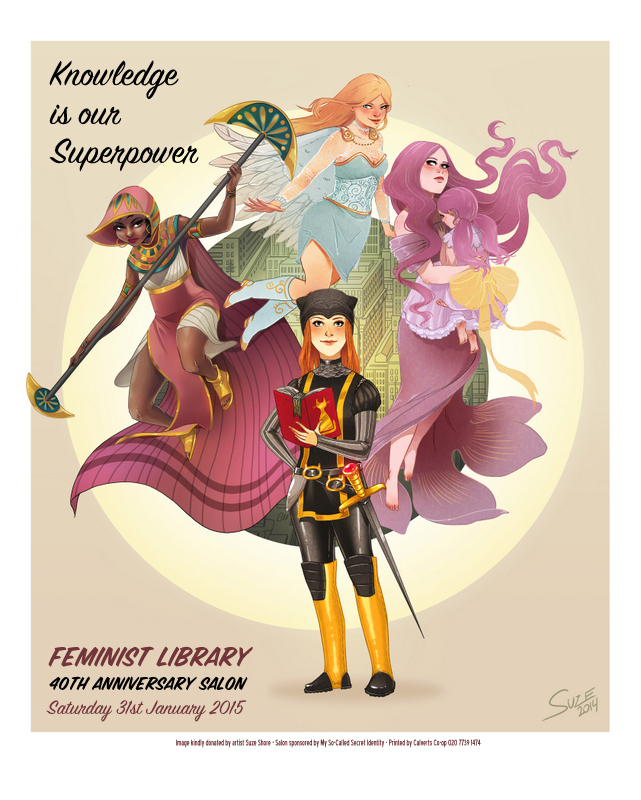 Our first salon in January, “Knowledge is our Superpower”, focused on feminism and libraries. The exciting programme includes salons on feminist fairytales; women’s history; women and tattoos; the feminist politics of bread making; motherhood, parenting and educating children; women’s self-organisation; art and archivism; sexuality; performance art; women’s mental and physical health; feminism and fashion, not to mention many other events. There will also be a commemorative limited edition print for each salon available to buy. Comic creator and illustrator Suze Shore has created and kindly donated the image for our first salon (see below). We hope you can join us at one of our salons to celebrate the library’s 40th birthday. Follow us on twitter @feministlibrary to keep up to date with our salon programme!